Intercession is more than persistent prayer. Prayer is mighty, but intercession has the power to move the hand of God. The power to change the world. Andrew Murray will show you how to join in the determined pursuit of God's will. You will find: How to cultivate an intimate relationship with the Lord God's purpose for your life Mighty power in prayer that can influence nations How to be persistent in prayer when you can't immediately see results The ability to pray as Christ prayed As you read, your life and faith will be strengthened, and the world around you will feel the effects of your pleading on its behalf. God wants to pour out His blessings and favor on the world. 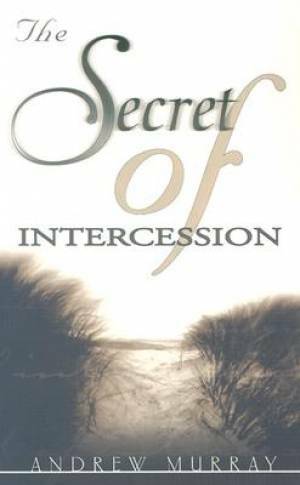 Secret Of Intercession by Andrew Murray was published by Whitaker House in January 2001 and is our 59634th best seller. The ISBN for Secret Of Intercession is 9780883688496. Be the first to review Secret Of Intercession! Got a question? No problem! Just click here to ask us about Secret Of Intercession.